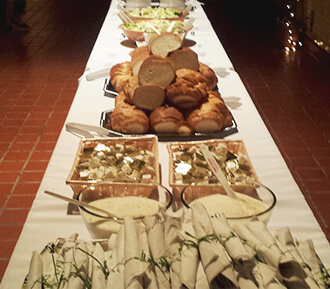 Have Pompilio’s cater your next event! 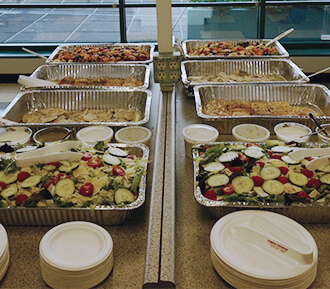 Pompilio’s restaurant is also a full service catering company specializing in traditional Italian buffets, small and large pans, boxed lunches, appetizer platters, and more. Pompilio’s has convenient pick-up times, and we deliver to almost anywhere in the Tri-state area. 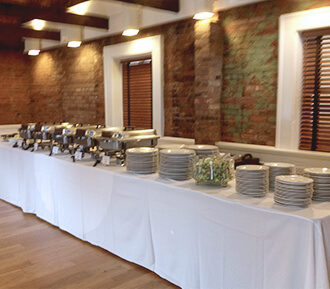 We have catered wedding receptions, rehearsal dinners, work gatherings, work luncheons, school functions, government functions, sporting events, and small and large family gatherings. Our buffet options can be viewed under the Buffet menu section. If you are looking for something smaller for gatherings of 50 or fewer people, call and ask about our a la carte catering options. Please let us help you plan and cater your next event. Call Ken at 859-905-7365, email Ken Rouse at ken@pompilios.com or through our Contact Us page.